Q&A: Noon – 12:30 p.m. The lecture with Sander Schwartz, Warner Brothers Animation Former President is sponsored by the Aspen Institute. Sander currently works as an independent producer, developing live-action and animated content for domestic and international exhibitors and distribution platforms. He also provides advisory services to TV and film companies in the U.S., Europe, China, Russia and Australia on all aspects of media and entertainment. 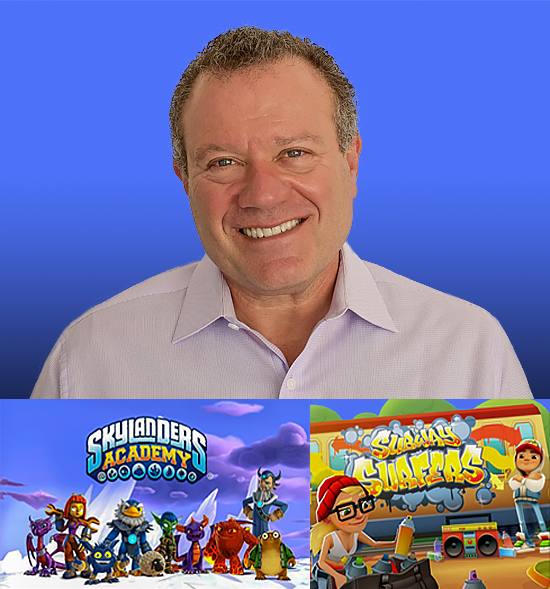 With a unique expertise in children’s content, Sander has recently developed and produced the “Skylanders Academy” series for Activision Film & Television Group, which is available on Netflix worldwide, and “Subway Surfers,” based on the iconic, and most downloaded in history, mobile app game. Sander has received multiple Daytime Emmy Award nominations from the Academy of Television Arts and Sciences and was awarded an Emmy for his role in producing “The Batman” series for Kids WB. He has also received numerous other awards for kids programming, including the Humanitas, Peabody Award, KidScreen and the Prism Awards. From 2009 through 2013, Sander was President, Kids and Family Entertainment for FremantleMedia Enterprises (FME), a division he founded within the world’s leading independent television production, distribution and brand management company. Within four years of its inception, the division had produced 13 series for top-tier networks and became the most prolific independent producer of children’s programming in the world. Sander joined Warner Bros. from Sony Pictures Family Entertainment, where he served as the division’s first President, responsible for creating family-orientated entertainment and animation across all media, including “Jackie Chan Adventures,” “Max Steel,” “Dragon Tales” and “Men in Black: The Series.” While at Sony Pictures, Sander also established Columbia TriStar Television Children’s Programming. Under his leadership, over a dozen new television series were developed, produced and distributed in syndication and network television. * Parking pass will be provided upon receipt of RSVP.